March 5, 2011 By Joe | Heads up: Buying via our links may result in us getting a commission. Here's why. Facial Hair Styles: What Women Love… and Hate. +5 means the respondent completely loves the look. So much so that it makes a guy look sexier than he otherwise would be. Zero was if they were completely impartial to the look. -5 if they’re completely horrified by it. To get the look: Use a beard trimmer, no guard, every few days. *Most of our panel mentioned how irritating stubble can be when there’s face to face contact. Getting Lazier. But they still like it. Great if your face gets cold easily. Check out my cheeks. But not my chin. Disagreements? Comments? Do you concur with their analysis? They all mentioned that stubble can be uncomfortable, but it was the only style that didn’t receive a zero or lower. 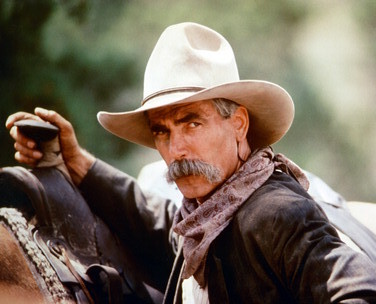 One thing does seem to be for certain… unless you’re Sam Elliott, pick something other than just the solo stache. And don’t forget to read the Dappered feature on The best facial hair grooming tools. These three are all you need. Whoa! I think we’re seeing a new trend here… I might have to try that. Its a sort of “mad cook” kind of look. He reminds me of doc from back to the future. Lol. This just might stand out enough for the ladies to like it. A true goatee is chin only. Daniel Day-Lewis can pull of the mustache. That’s a pretty small sample and the facial hair pictures your chose, while on A-listers are pretty terrible examples.